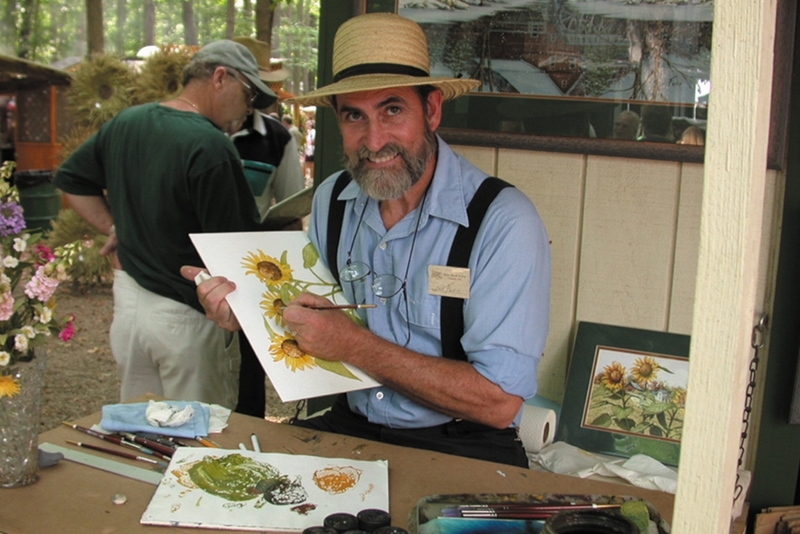 The 37th annual Shaker Woods Festival will be held August 10-11, 17-18, and 24-25, 2019 featuring more than 200 of the best juried craftspeople in the country. Each craftsperson will be dressed in Shaker period clothing while demonstrating and selling their remarkable handmade wares. While on the grounds, bring your walking shoes for a journey down the rustic paths throughout the beautifully manicured woods, while enjoying the aroma of great country cooking over open fires and the sound of free entertainment located at two different stages throughout the woods. General admission tickets will be on sale at the gate. ATM machines will be available on site. •Group rates are available for groups of 10 or more! •Parking is FREE. Please, no pets. For more information regarding the festival or to become a participant, please call 330-482-0214.